Every woman loves to be pampered - and have we got the zone for you! The Pamper Zone features two distinct areas to indulge, the endota spa Massage Lounge and the Beauty Bar. Spots will fill up quickly, so get in early to receive your FREE mini makeover or massage at the Expo. Put your feet up and relax by heading over to the endota spa Massage Lounge after a full day of shopping. For a gold coin donation you can get a 10-minute massage or skin consultation! All proceeds will be donated to the Marninwarntikura Fitzroy Women’s Resource Centre. 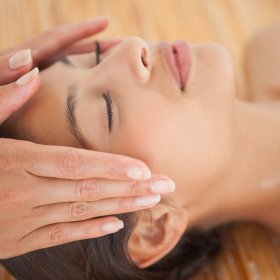 Head to the Massage Lounge for a 10 minute shoulder, neck and head or 10 minute hand and arm massage. For a gold coin donation, visitors can also receive a 10 minute skin consultation. Choose from a range of beauty and hair makeovers by a WASP specialist at the Beauty Bar. All mini makeovers are FREE and available on a first-come-first-served basis. Give your look an instant lift with your choice of casual, boho or city chic. 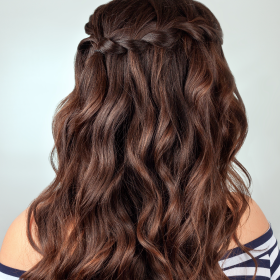 Choose from hair straightening, curling or braiding to give your locks an instant uplift! 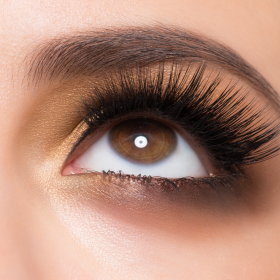 Your eyes will pop with a gorgeous eyelash extension service by WASP beauty specialists! Ticket registrations coming soon - sign up to our e-newsletter to be the first to book!